I enjoy blogging about a number of topics besides writing and book news, and travel is one of them. It's always fun to share my experience visiting someplace new, especially if I learn some interesting history or facts while I'm there. 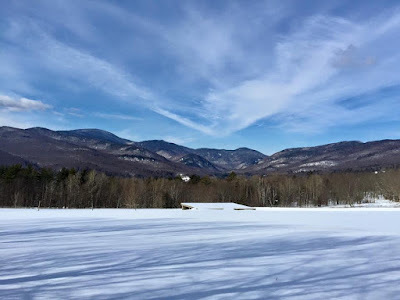 We spent a few days in Vermont recently, at the lovely von Trapp Family Lodge, and I learned a lot about the family that inspired the iconic "Sound of Music" story. The movie is one of my all-time favorites, so to stay in a place where the family actually lived was very special, although learning some of the actual facts that aren't reflected correctly in the story threw me for a bit of a loop! But as our guides often said, some of the real stories are even better. A very old pic from my photo album! As a fan of the movie and the music, I was very excited to spend time at the resort in Stowe, Vermont, and learn a little more about the family. 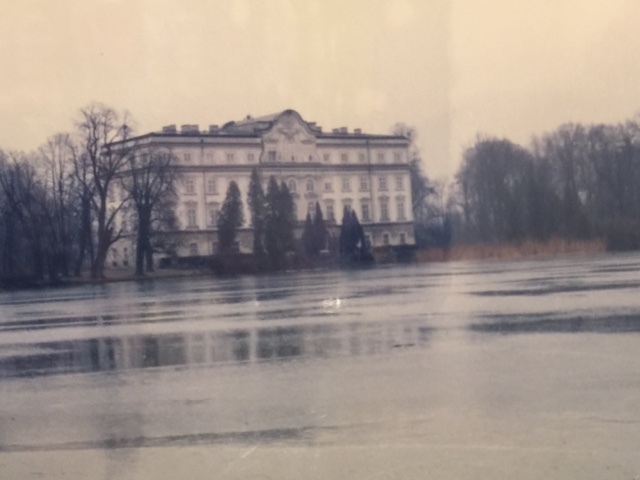 Years and years ago, I was lucky enough to study abroad in Europe during college, and I took the Sound of Music tour in Salzburg, Austria. 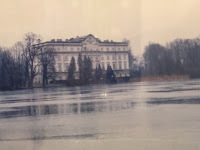 This mostly focused on the outdoor settings used in the film, such as the Mondsee Abbey (wedding scene), the two enormous houses used as the exterior of the von Trapp villa, the fountain, and gardens. 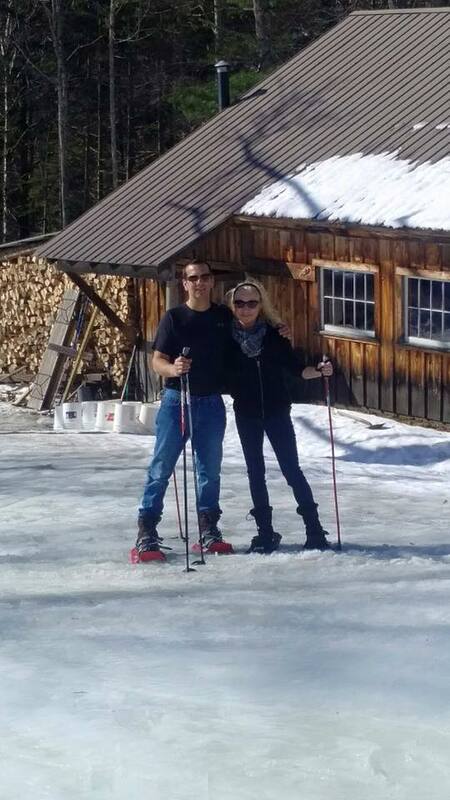 The surrounding mountains were also used as a backdrop, and in the scene of the family's final escape from the Nazi regime...but as I learned recently at the Lodge, the family actually fled via a train to Italy, then emigrated to the United States and settled in Vermont in the 1940s, on a farm surrounded by mountains reminiscent of Austria's Alps. 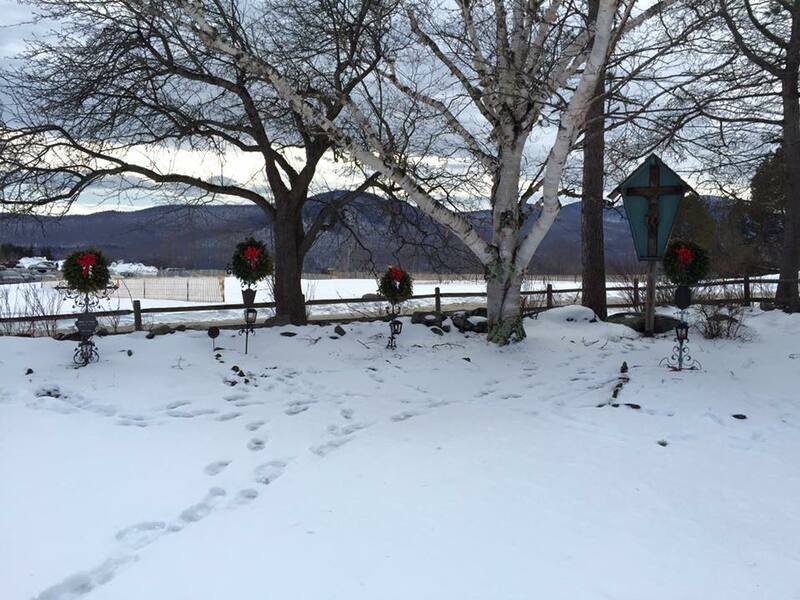 Today, their former home is a 2,400 acre resort, managed by the son of Maria's youngest son (there were actually 10 children in the family--Maria and the Captain had 3 of their own). There is fascinating family history everywhere, and plenty of Austrian-inspired decor. 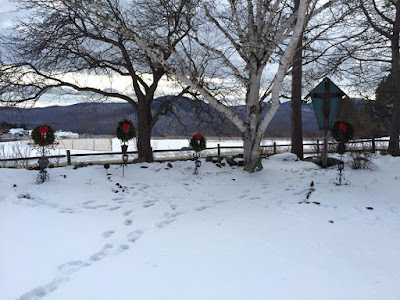 There is actually a family burial ground right near the main lodge, where Maria and the Captain are buried, in the same plot, surrounded by the graves of a number of their children. in the plot beneath the wreath-clad marker farthest to the right, near the cross. 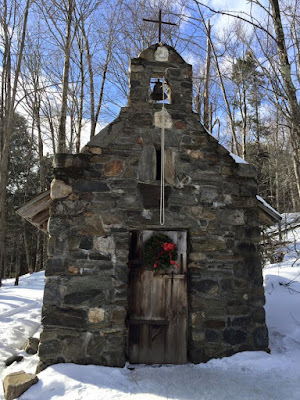 On our first full day, I took a guided snowshoe tour up to The Chapel. This stone structure was built by Werner von Trapp, one of the older sons, upon his return from WWII. He served in the U.S. military, returning to Europe and essentially fighting against some of his own countrymen. During one ferocious battle, he prayed for his survival, pledging to build a Chapel on his family's property if he were able to return home alive. 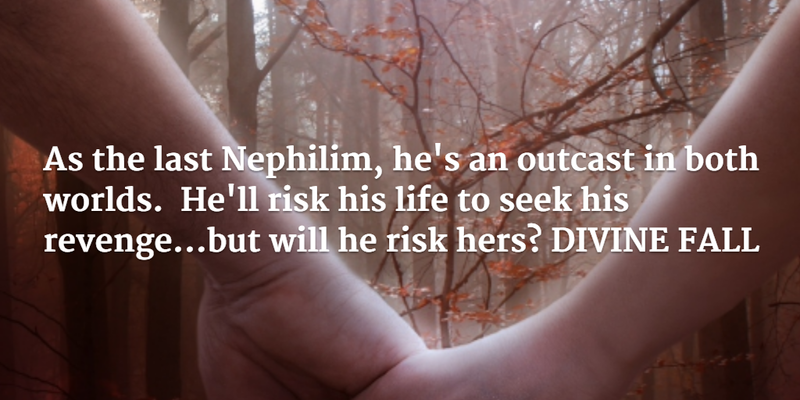 When he did, he set about keeping his promise, dragging stones up a steep hill by himself. 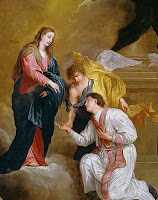 Offers of help were declined, as he insisted this was a project he needed to complete on his own. In four years, it was finished, and it still stands in a clearing in the woods. Inside, there are paper and pens available for any visitor wishing to write down a prayer and leave it in the prayer box. 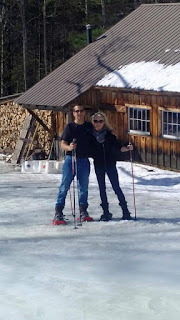 In three days, we by no means explored all the property, but a few other things we did on-site included cross-country skiing and a snowshoe hike to the Sugar House, a wooden structure in the woods where the von Trapp maple syrup is produced. We were also delighted to find a brewery on-site, featuring von Trapp beers and traditional Austrian food. We came home with some beer, some syrup, and a lot of great memories! Definitely a wonderful resort with friendly employees and gorgeous scenery that allows visitors to enjoy nature. Final days to enter the Mystic Worlds Paranormal Romance and Urban Fantasy Giveaway, sponsored by 33 fabulous authors! 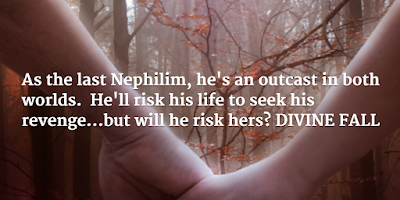 This raffle ends on Feb. 28th, and a number of winners will be announced! 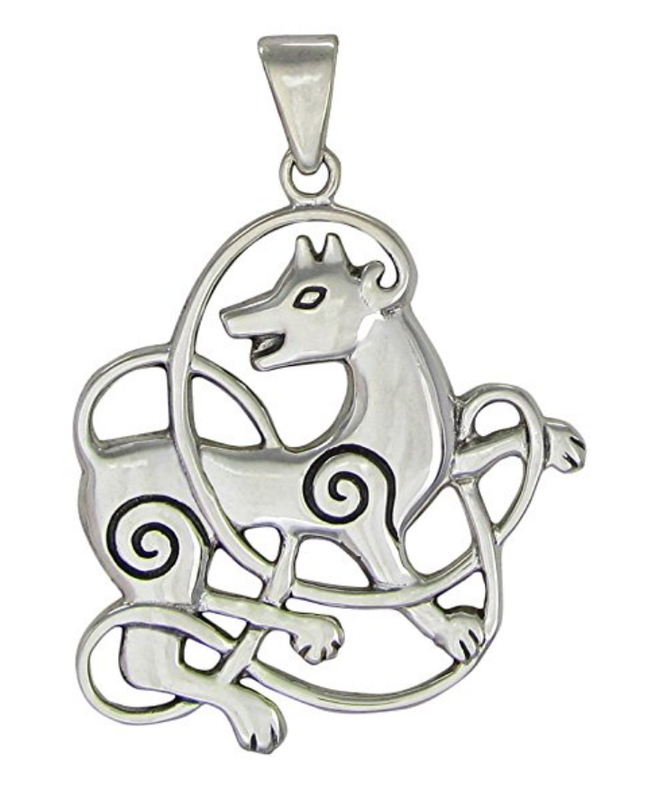 We have a bunch of great gifts up for grabs, including a Kindle Fire HD8, e-book prize packs (winner chooses the titles), Amazon gift cards, and a beautiful solid sterling silver Celtic wolf pendant. You can enter the Rafflecopter below, or enter from our website and peruse our book fair as well! 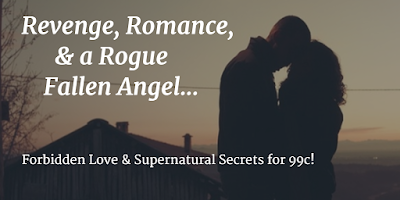 We have titles featuring shifters, vampires, ghosts, psychics, angels, and witches, most under $2.99! 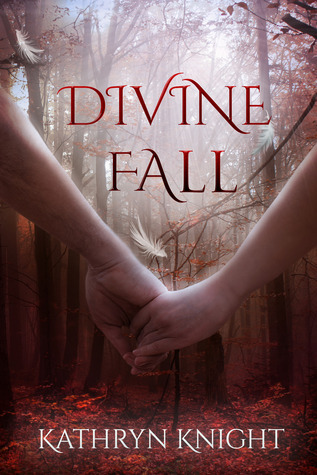 I featured Divine Fall, which is a YA Paranormal Romance filled with forbidden first love and supernatural secrets, available for less than a buck on Kindle! 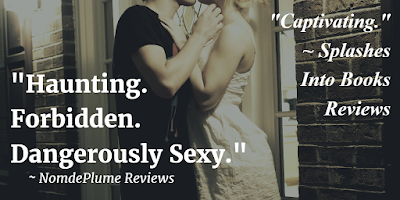 But I also have some steamier novels that fall into the "Paranormal Romantic Suspense" genre ~ hot, tension-filled romance spiked with a mysterious haunting...two of which have hit the #1 spot on both Amazon and Barnes and Noble. 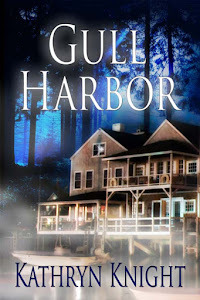 Those titles are Gull Harbor, Haunted Souls, and Silver Lake. 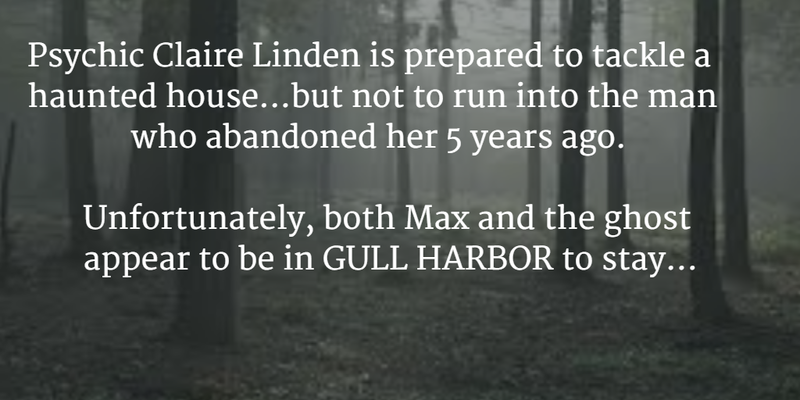 Gull Harbor is now available as an Audiobook too! I'm so excited to announce the release of my first audiobook! I personally love listening to audiobooks, and I'm a member of Audible, which gives me a credit a month to download a new audiobook for a low monthly fee. In fact, I'm so addicted to listening to books while I'm driving or doing chores, I often have to take advantage of the extra credit sales. 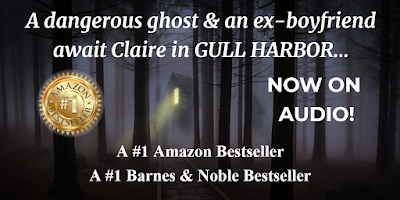 So I am thrilled that my publisher brought Gull Harbor to the audio format, and I'm even more thrilled that I love the talented narrator we chose, because the narration can often make a break a listener's experience. Things that make an author smile! 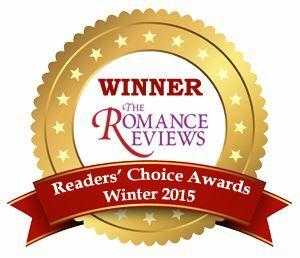 into the romance + suspense! 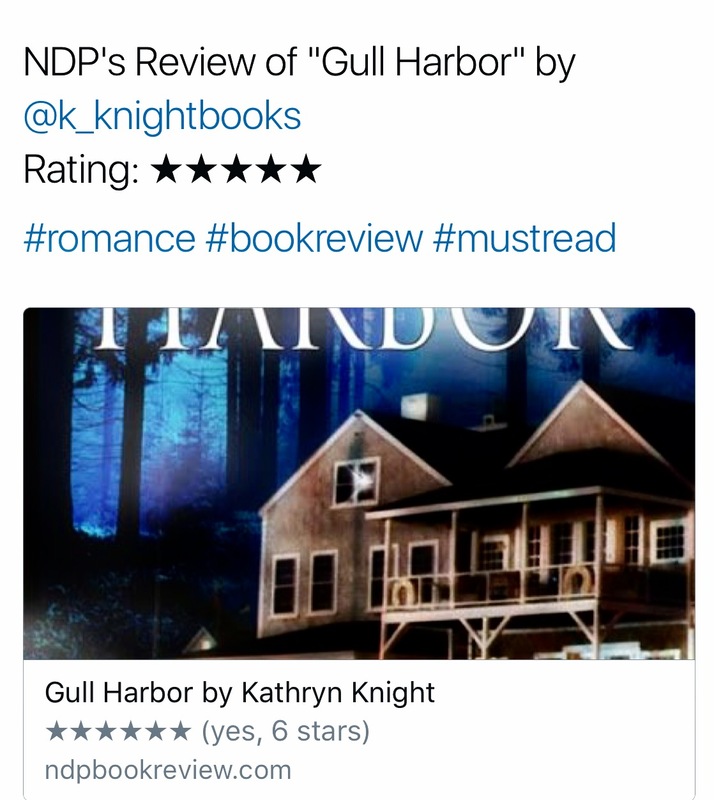 Gull Harbor is a popular book that has hit the #1 Bestseller spot on both Amazon and Barnes and Noble on several occasions. It's a mix of steamy romance and spooky suspense...a second-chance at first love with a ghost mystery, and two of my most popular characters ever. 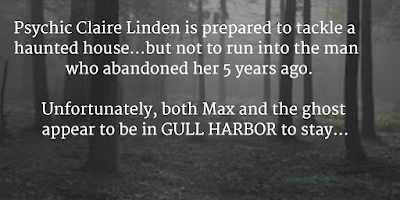 Enough people wanted to hear more about Max and Claire that I had them appear in my latest release, Haunted Souls, so readers could catch up with them. 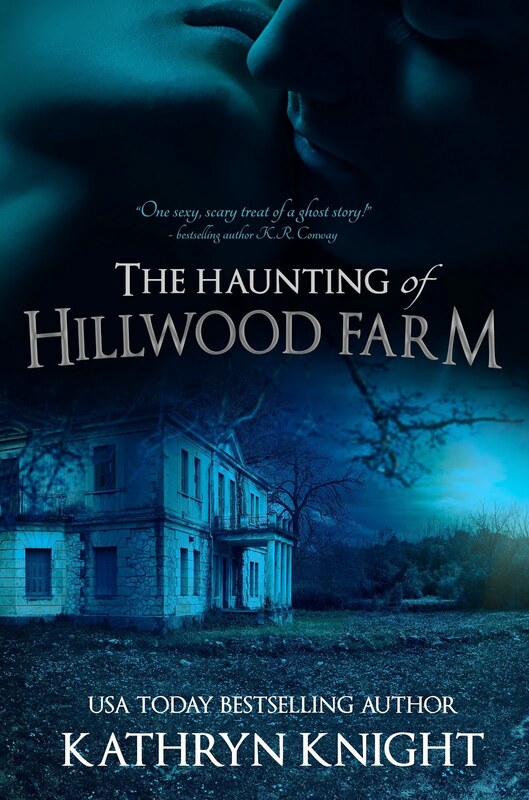 And it worked perfectly, since Claire is a psychic medium, and Emily from Haunted Souls, also set on Cape Cod, needed help trying to get rid of a ghost who'd attached itself to her young son. 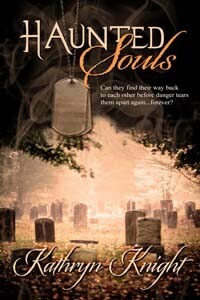 Haunted Souls is up next for audio, and it's about to go into production. 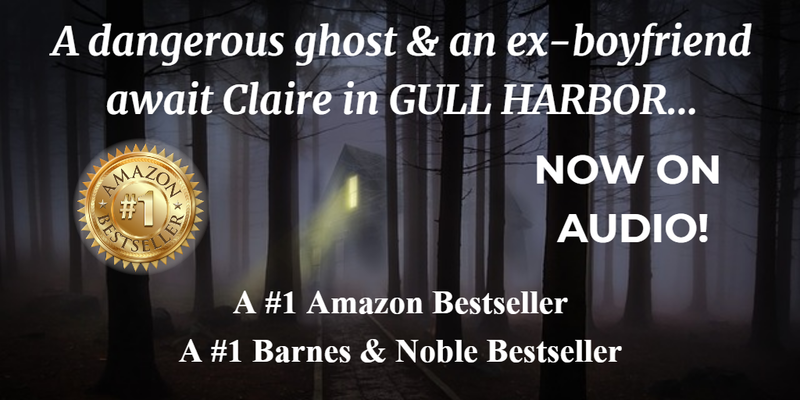 In the meantime, if you're an audiobook fan with an Audible credit waiting, or you'd like to try your first audiobook, please check out Gull Harbor and listen to the sample! 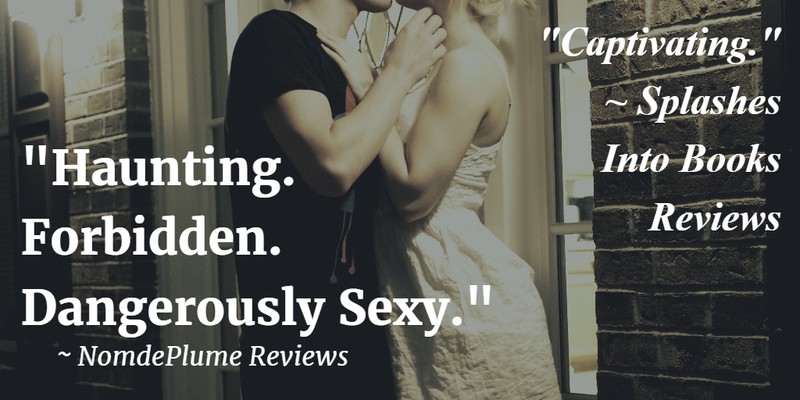 It's the perfect season for love stories! 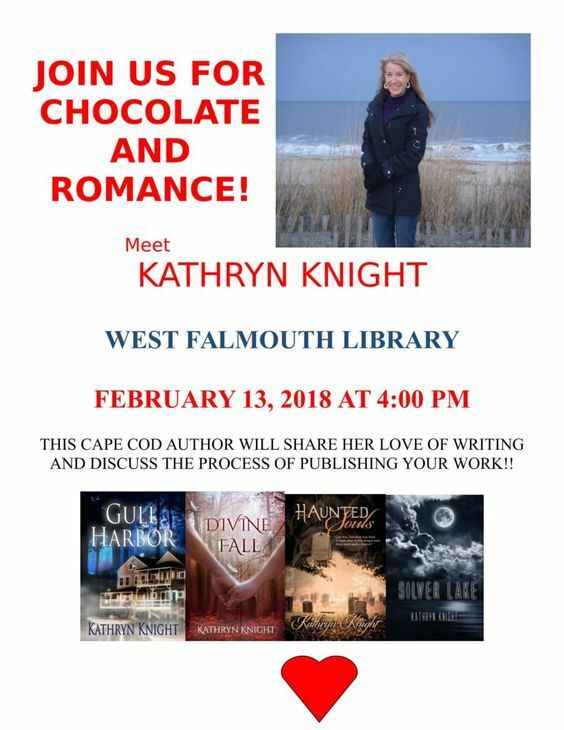 Valentine's Day is a great time to celebrate love, and I'm thrilled to be discussing writing romance at the West Falmouth Library this week, on Tuesday, February 13th! For an added treat, light refreshments will be served (read: chocolate! ), and my books will be available for signing and purchase. The press release is below; if you're in the area, I'd love to see you there! 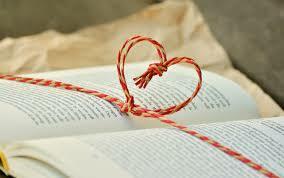 Join local bestselling author Kathryn Knight for a Valentine’s Day book event! 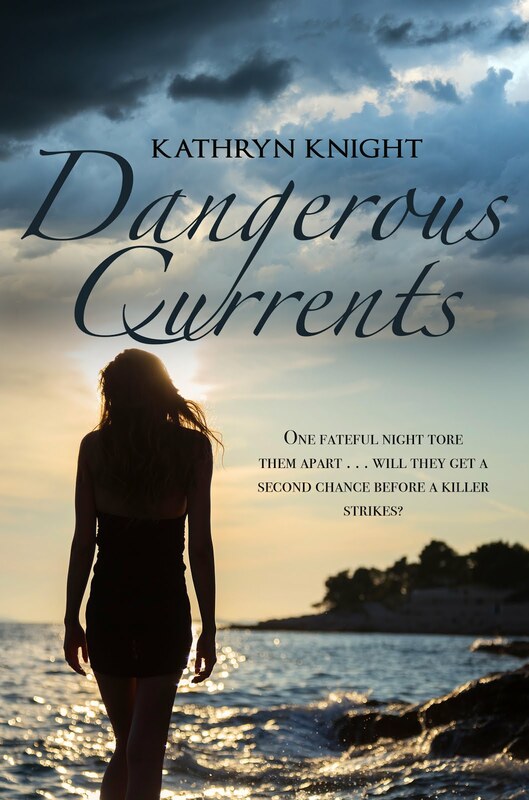 Ms. Knight will discuss writing romantic suspense and paranormal romance, developing characters, and finding a publisher, as well as answer questions about her writing journey and the publishing industry. 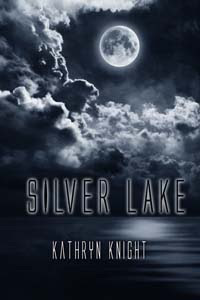 Her books will also be available for purchase and signing; titles include Silver Lake, Gull Harbor, Divine Fall, and Haunted Souls, several of which have been #1 Bestsellers on Amazon and Barnes & Noble. 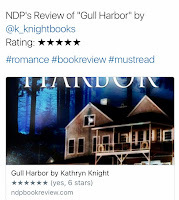 Ms. Knight also regularly teaches Fiction Writing and Publication courses throughout Cape Cod and speaks at conferences. Tuesday, February 13th at 4:00 pm at the West Falmouth Library, located at 575 W. Falmouth Hwy (Rt. 28A). Attendance is free; light refreshments will be served. 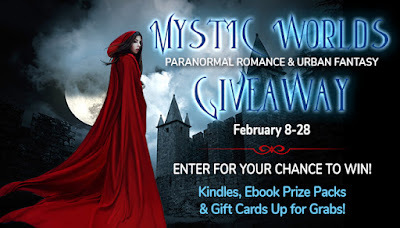 I'm excited to be a part of the Mystic Worlds Paranormal Romance and Urban Fantasy Giveaway, sponsored by 33 fabulous authors. 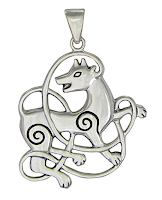 We have a bunch of great gifts up for grabs, including a Kindle Fire HD8, e-book prize packs (winner chooses the titles), Amazon gift cards, and a beautiful solid sterling silver Celtic wolf pendant. Thanks for stopping by ~ good luck all!